MUMBAI, India – Hindustan Coca-Cola Beverage Pvt. Ltd. (HCCB) today announced the transition of Georgia Tea & Coffee business from Coca-Cola India Pvt. Ltd. Georgia is the tea and coffee offering from The Coca-Cola Company. Effective October, the manufacturing and distribution of Georgia will be handled across the country by Hindustan Coca-Cola Beverages Pvt. Ltd., the Company owned Bottling Operations. With this move, HCCB will expand its existing product portfolio and now offer both hot and cold products to end consumers. “This move has been brought forward on account of our strong belief in the products being offered by Georgia and the need to expand the business exponentially in the years to come. We are hopeful this aromatic and smooth tasting coffee will appeal to Indian consumers. Mr. S. Giri Sunder, Vice President – Commercial Beverages, Hindustan Coca-Cola Beverages Pvt. Ltd. will be leading the Georgia business. He will seek to leverage HCCB’s core competency of sales and distribution reach to increase the market-share of Georgia in the country. Currently, the Georgia pre-mix is being manufactured at the Hershey India in Bhopal which is the co-packer facility of HCCB. 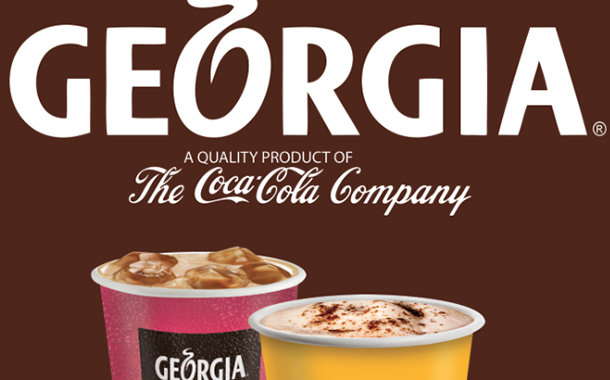 Georgia offers an entire range of premium hot & cold beverages – including fresh brew coffee, hot premix flavored tea, coffee, iced tea and cold coffee through its owned vending machines. The brand has a history of more than a decade in India and has already deployed close to 5000 machines around the country. McDonald’s is one of Georgia’s largest customers in India followed by cinema halls and multiplexes as well as key corporate offices. With the transition of Georgia to HCCB, the company has now evolved to be a “one stop beverage solutions provider “ offering the entire flavor range in Sparkling, Juice, Tea, Coffee and Still categories to end consumers.